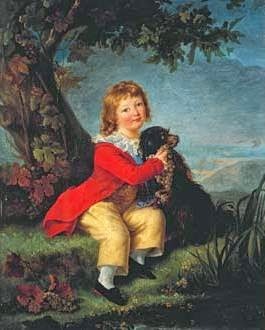 Alain Bancel was a collector with an obsessive interest in the French Revolution's saddest victim, the little Dauphin Charles-Louis, posthumously recognised as Louis XVII. 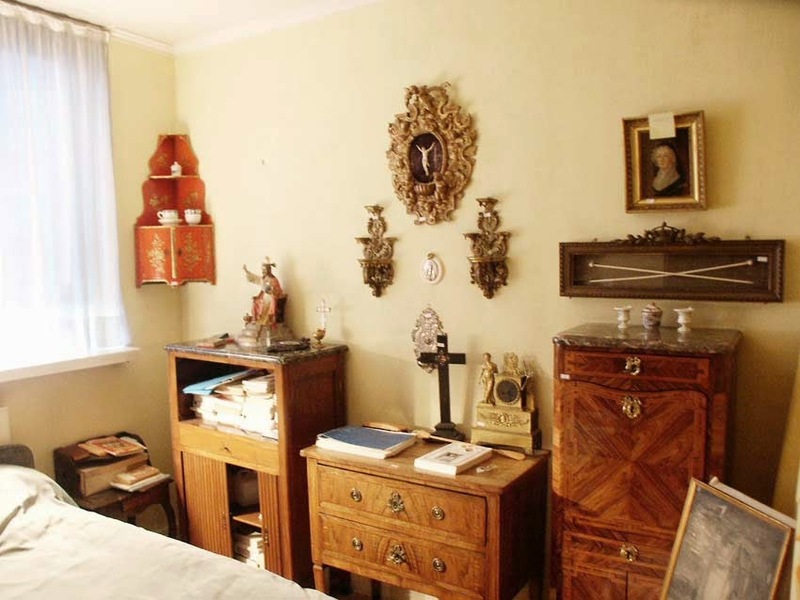 Over thirty years, he managed to amass in his modest apartment in northern Paris a collection to rival that of the Carnavalet. 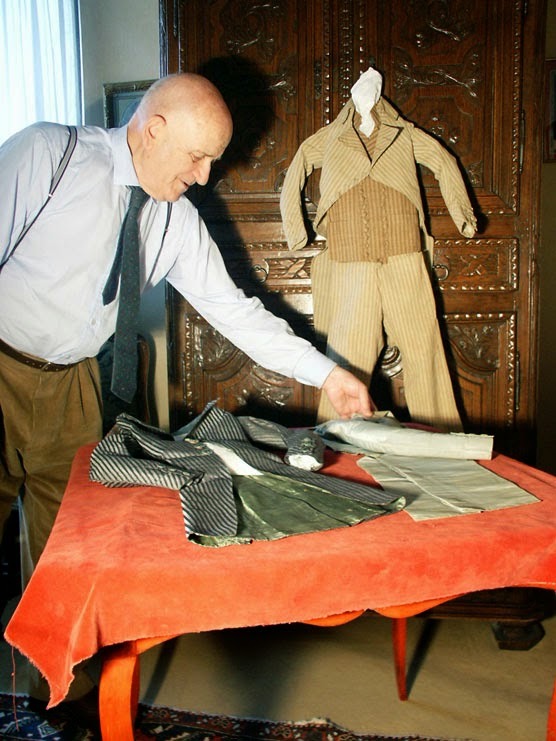 Unhappily on M. Bancel's death in 2003 his collection was "victime du fisc" and had to be dispersed. It became one of the auctions of the season. 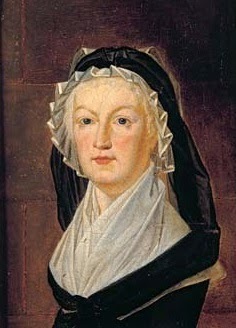 There were 470 lots,with an estimate of 450,000 € and the sale eventually realised 760,000 €. 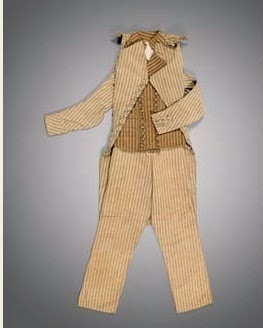 Outfit belonging to the Dauphin in brown and beige striped material comprising a coat with eight buttons, a waistcoat and trousers. Made for a child of 1 metre 20 (3ft 11 inches) 7-8 years old, but painfully thin. 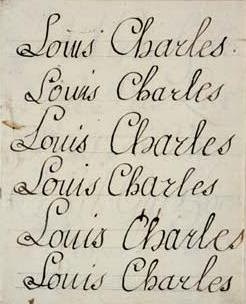 It had been preserved by the royal valet de chambre Cléry and remained in his family until 1882. Estimated at 12 000 €, it sold for 19,460 €. 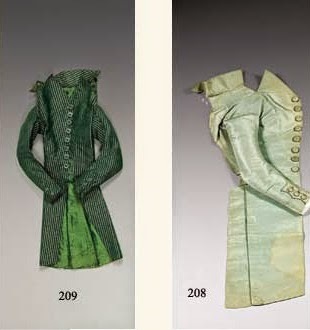 The purchaser was a public collection, the Musée Galliera (Musée de la Mode de la Ville de Paris), which also owns a beautiful pink silk costume of the Dauphin's, dating from happier times in Versailles. 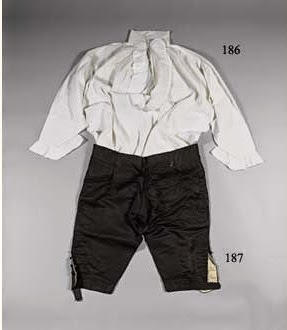 The Galliera does not have a permanent display, but the outfits are occasionally exhibited. 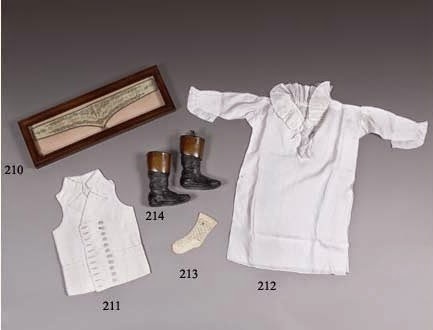 Also in the sale were two of the Dauphin's coats (Lot 208 and Lot 209), plus various other more pathetic items of clothing: a white chemise (Lot 212), now also in the Musée Galliera and even one of the little boy's socks. 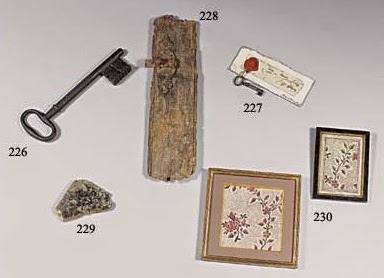 The key (depicted above with various lots comprising further keys and fragments of upholstery etc. from the Temple) came from collection of Philippe Gille, whose grand-father, a commissaire de police, acquired it when the tower was demolished. 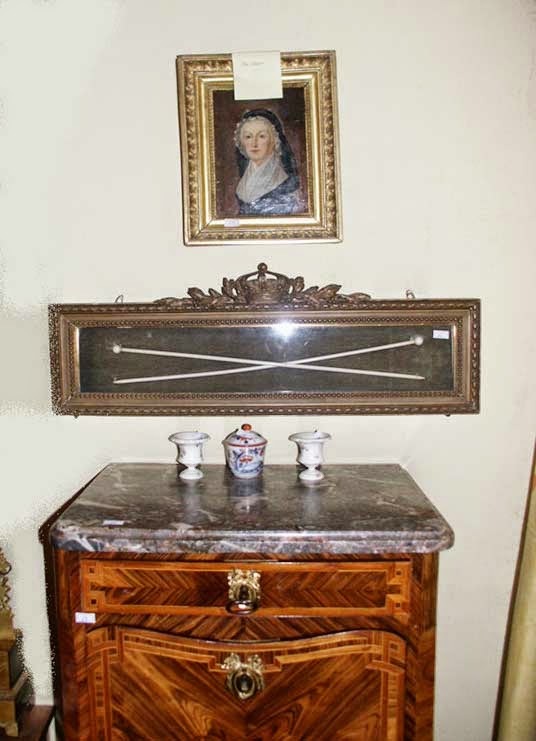 (Sold for 9 671 €.). 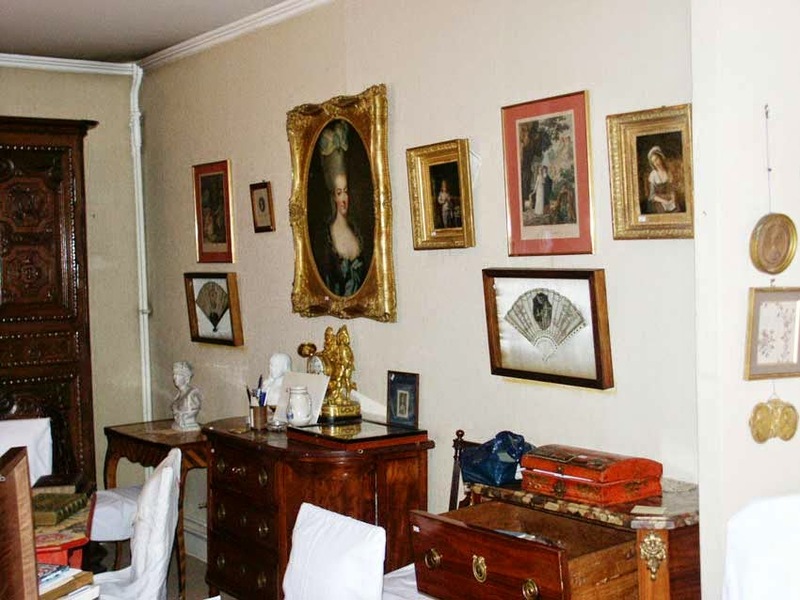 "In Memorandum": images of the Bancel collection on the Musée Louis xvii website.